1. Have some self-control (for cryin' out loud). Plowing the pow is awesome. Plowing into fellow skiers is not so awesome. Regardless of how much you may want to get crazy on the mountain, you must always maintain enough control to slow down and stop at any time. For obvious reasons, maintaining control of your speed and direction is important to your own safety as well. However, if the appropriate control is kept, those in front of you do not need to worry and those behind you do not have to dive out of the way. 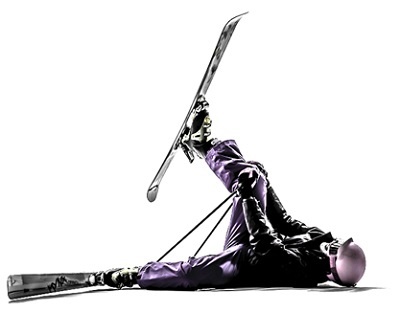 It is easy to imagine how quickly a chain reaction of downed skiers can be caused from just one out of control novice. 2. Be kind to skiers in front of you. Anytime somebody is ahead of you on the trails, they have the right away. Yes, this can be a real bummer when it's a crowded day and you just want to bomb the hill, but it's important to remember that just because you are going faster than them does not mean they have to move over. In most cases, they don't even know you're there. Resist the urge to be a stealthy slope assassin by giving the skiers in front of you some space while you pass carefully. Although the untouched, virgin snow becons us all, it's really important to keep off of closed trails and areas. These areas are often closed due to unsafe terrain or skiing conditions, such as inadequate light or thin snow coverage. Going down these paths not only greatly increases the risk to yourself, but also makes it harder for the ski patrol to come and rescue you if you get hurt. Going down these trails is also likely to get you kicked off the mountain. Wa waaaa. Do not block the trails. Seriously. 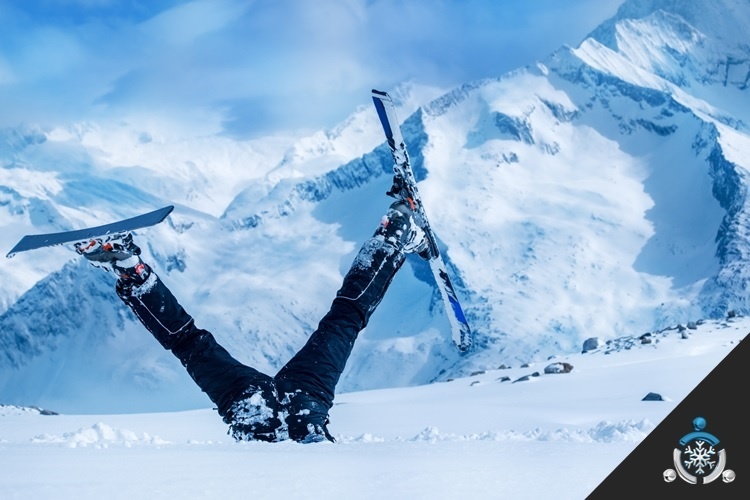 If you fall down in the middle of the slope, try your best to move over to the side as you snap your skis back on or collect your poles. This will significantly decrease any potential danger from another skier hitting you while you are on the ground. Skiers from behind you will approach quickly and may not have time to stop if you are in the middle of the trail. Likewise, the Responsibility Code also states that you must not stop in where you are not visible to skiers behind you. Super dangerous! 5. Avoid falling on the lifts (oh, the irony). Know how to load and unload off the ski lift before you enter the queue. Often, beginning skiers fall more here than they do on the actual slopes. Knowing the rules and how to suave exit from the lifts not only saves time and decreases your chance of injury, it also prevents embarrassment in front of the others on the lift that must wait on a stopped lift as you get off the ground. 6. Keep your gear in check. Often, the only thing more dangerous than a runaway skier is runaway gear! Make sure you've got the necessary clips and devices properly attached before heading up the mountain. Otherwise, your skis or snowboard may end up becoming a potentially deadly ballistic missile. Nothing ruins a relaxing apres like a 50 mph ski to the back of the head. 7. Heading downhill? Look uphill. Trails are just like any other intersection, you've got to yield to oncoming traffic. If you're about to merge onto another trail or perhaps are just embarking downhill on a trail, be sure to look uphill first and give the right away to skiers already on their way down. A common courtesy that keeps everyone on the mountain and out of the hospital (or jail cell, in the event of trail rage). Don't forget your safety equipment for skiing / snowboarding! Like any other "extreme" sport, all the necessary safety gear should be worn to prevent broken bones, head injuries and other such terrible things. Have any other safety tips you'd like to share? Add them to the comments below! Looking for killer deals on ski gear and vacation packages?